You don’t need to be extremely wealthy to purchase a beautiful and functional home. As long as you understand your budget you can easily find a home that’s within your price range and meets your design needs. By becoming knowledge about what’s involved in finding an affordable and trendy home you’ll have a much easier time house hunting and won’t feel as stressed. One of the most challenging aspects of purchasing a new home is getting approved for a mortgage. It’s not that difficult to become approved for a mortgage but most people don’t fully understand the process of getting a good mortgage. If this is your first time buying a home, it’s extremely easy to make a mistake and end up spending far more money on your mortgage than necessary. When looking for a mortgage, the first step is to research different types of loans. There are a variety of different programs available; but the main goal is to find one with the lowest interest rate possible. The interest rate determines how much you pay for your house, so lower is always better. Once you fully understand the interest rate, it’s time to start researching down payments. 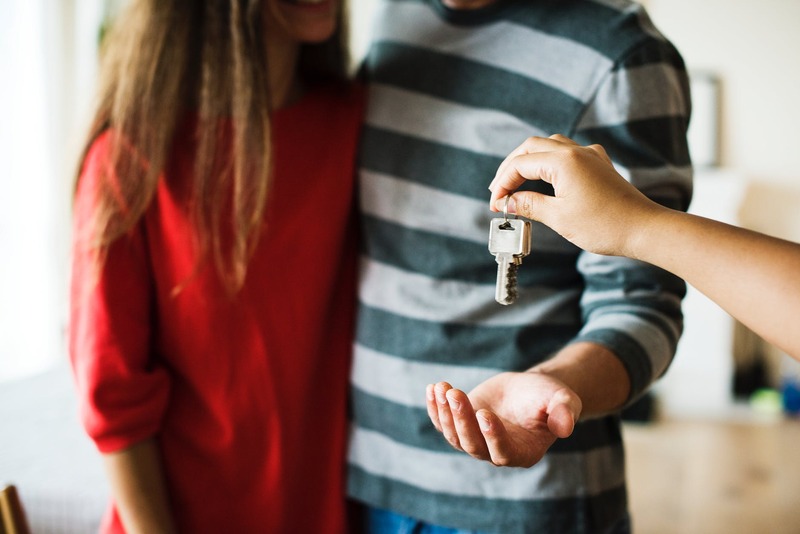 If this is your first time purchasing a home, you might be able to get an FHA loan, which allows you to put down less than four percent for your home. The more money you can invest in your home though the better your rates will be and you will have lower payments. After understanding the general concept of getting a mortgage, you’re ready to start talking to different loan originators. When meeting with loan originators it’s key that you pay attention not just to the interest rates and down payments, but also to any additional fees. You don’t want to end up surprised that you owe them a lot of additional money. Now that you’re approved for a mortgage, it’s time to start searching for your new home. While house hunting you should remember that you can’t go over your budget. Your goal is to find a stunning and functional home that’s also affordable. Sometimes you might need to reconsider your design standards and end up comprising so you avoid overspending. Before you start going to see homes you should first create a list that includes what you’re looking for in your new home. The list should include everything you view as a necessity, such as a safe location or a particular number of bedrooms. Also, you should include on the list some desires, which are aspects of the home that aren’t essential but would make you happy, such as a spacious master bedroom or a home gym. When you’re done creating the list you should give it your real estate agent so they can have a better understanding on what you’re looking for in a home. Also, be extremely clear to the real estate agent the maximum amount of money you’re willing to spend on a home. You don’t want to get attached to a home to later find out it’s out of your price range. In order to avoid this, you should refuse to set foot inside any home that’s over your budget. Once you and the real estate agent are on the same page, you should be able to see homes that are beautiful and also very cost effective. The majority of the homes you see will differ from each other based on how they’re designed. While looking at homes you should consider what type of home design you find most appealing. The price may factor into your decision. For example, even though you love the thought of hardwood floors it might not work well with your budget. Therefore, you might need to consider laminate flooring. This flooring looks very similar to hardwood and is very durable but doesn’t have a high price tag associated with it. You can apply this same thought process to other aspects of the home as well. For example, when looking at a kitchen there’s no need to have marble or quartz countertops. You should choose a more affordable option that’s also aesthetically pleasing, such as granite tops. For kitchen cabinets you also might need to comprise and choose a material that might not be as eye-catching but is more within your budget. For example, you might need to have kitchen cabinets that are made of engineered wood, which is a mixture of wood, fibers, veneers, resin and adhesives. It’s a very durable material and will still add a gorgeous appeal to your home but it’s not as pricey as solid wood. The best part of sometimes sacrificing your design needs for a more affordable option is that you can save money for the areas of your home where you don’t want to compromise. If you can save a few thousand dollars on the kitchen, you might be able to afford the flooring you want in your bedroom without going over budget. Likewise, if you are willing to go with laminate flooring instead of hardwood, you might be able to afford a house with an extra bedroom. It’s key to remember that you should be willing to make compromises on the aspects of your home that aren’t as important so that you don’t have to compromise elsewhere. While looking for a new home don’t get discouraged if it doesn’t quite meet your design needs since you can always make small or large changes to it once you move in. People often forget that they most likely will be living in this home for a long period of time. Therefore, they’re fully capable of remodeling part of the home or redesigning any aspect of the home they feel doesn’t meet their needs. In addition, the changes don’t need to take place immediately. You can save your money over a period of time and make the changes once you feel it’s affordable. It’s always better to purchase a home that’s well within your budget than to pay extra for a house that’s going to force you to take out a loan or spend several years paying off and risk debt. By remembering these key strategies you’ll be able to easily find a home that meets your design needs and doesn’t make you cringe at the price. The most important thing to remember during your home search is to stick to your budget and make comprises on what you’re looking for in your new home.